Mathias Minet and I had the idea of the Tea School in 1999. Our stores were starting to become successful and we had less time to spend with individual customers. We thought the Tea School would be an ideal place for us to teach others what we know. Passing on our knowledge has always been at the heart of Palais des Thés’ mission. We developed a unique teaching method based on practical tastings and a sensory analysis of teas. The Tea School was the first initiative of its kind in France. Over almost 20 years, we have taught more than 15,000 people, and the Tea School is now present in New York, Moscow and other cities. The Tea School is, of course, where we train Palais des Thés staff, along with individuals who want an introduction to tea or want to improve their knowledge of tasting, as well as food industry professionals who want to learn how to prepare and serve tea, as well as pair it with dishes and even cook with it. 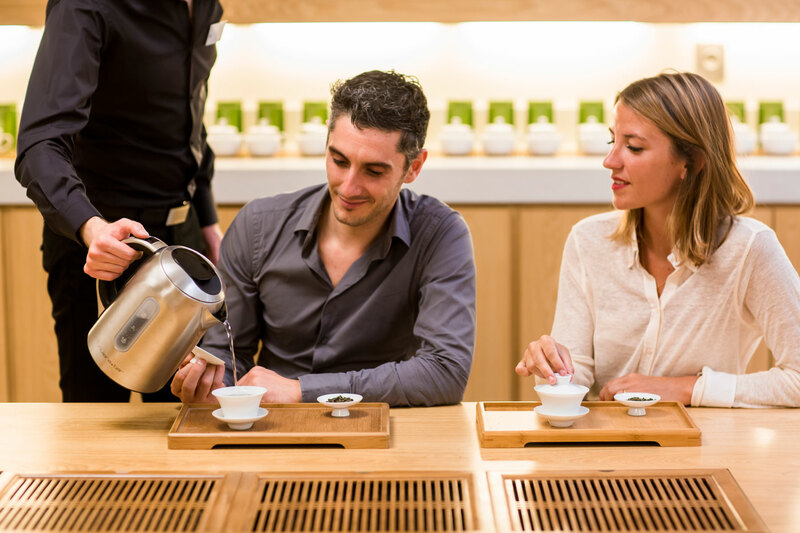 The tutors, our passionate Tea Sommeliers, support the learning of those new to tea as well as connoisseurs in the most professional manner.